One of the good things in TRP (Training Reintegration Platoon) is the library they have. They have both in English and French. I found a number of good books in English section, of course. I know there are good ones in other section but I know no French. In Enemy Hands is one of them. The book is about the Canadian servicemen during the WWII who were captured as POW by the enemy forces. As sad as it could be, the stories are interesting at the same time. It shows what those poor guys went through. Hunger, cold, discomfort, stress, injury, sickness, you name it. Of course everyone knows what the feelings of a POW might be but reading what they have narrated gives you a better understanding of that. The worst of them would be the invasion of Dieppe where Canadians were slaughtered. A large number of them were captured by Germans. The thing about Westerners is if they are defeated they admit that and document it. In East something like this never happens. Iran had a number of disastrous operations during the 8-year Iran-Iraq War which led to losing thousands of troops, mainly volunteers called Basiji but they never admitted the loss and to this day they have never been a true number of casualties of the devastating war. This post is not about Iran-Iraq War but I would like to bring an example where Iranians were defeated, unfortunately, due to lack of good leadership, most likely and possibly lack of support as well. Operation Dawn 1 took place in 1983 in eastern Al-Amarah and the human waves of Revolutionary Guards were massacred by Iraqi forces. This is one of the comments I do remember one of the Germans made: If we knew there were so many of you coming, we would be prepared! 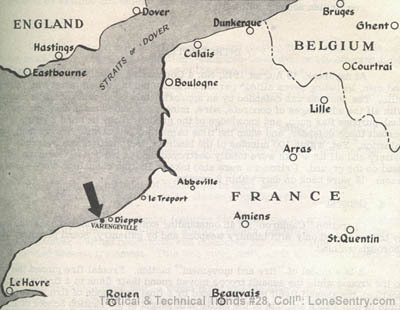 The French nurses at the hospital at Dieppe told us that had been getting up at 4 AM for the last four or five days. They were expecting us. This, above, shows how unprepared and disorganized Canadians were. Their plan was know days, maybe weeks before it was put in to practice. I leave it to you to read the rest of the book and decide for yourself whether book is good or not by I recommend that.